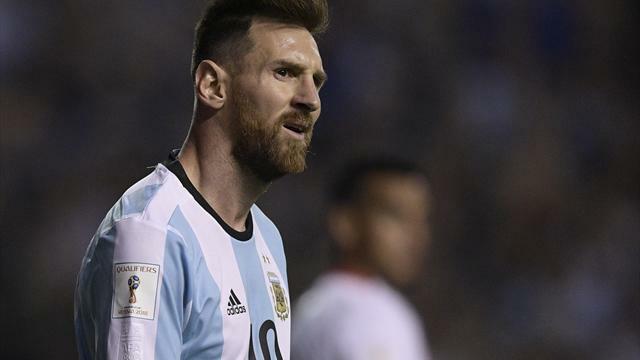 Twice champions and 2014 runners-up Argentina were in serious danger of failing to reach the 2018 World Cup finals after being held to a 0-0 draw by Peru on Thursday. Lionel Messi's side are on 25 points in sixth place in the 10-team South American group, with only the top four teams qualifying automatically for Russia. 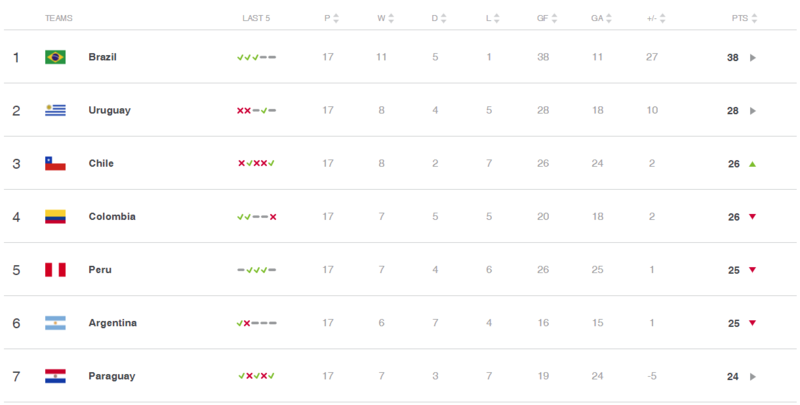 The fifth-placed side, currently Peru, qualify for a play-off against Oceania champions New Zealand. Argentina visit Ecuador at high altitude in Quito in the final round of matches on Tuesday while Peru, who are hoping to go to the finals for the first time in 36 years, host Colombia in Lima. Argentina had the lion's share of possession and chances although good ones were scarce. Boca Juniors midfielder Fernando Gago came on for Ever Banega after an hour but lasted less than 10 minutes before twisting his knee and having to be replaced by Enzo Perez in Sampaoli's last possible change.